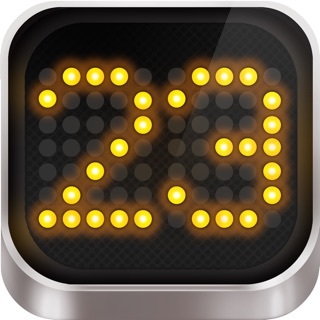 Easy scorekeeping for your basketball team on your iPhone or iPad. Stat trackers can share box scores via Email, Facebook, Twitter or a simple link. Great for parents, coaches and fans. All for free! 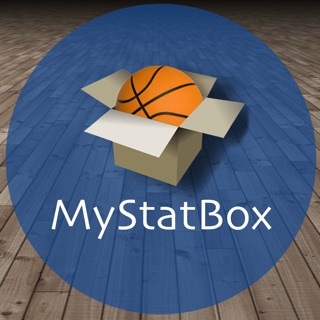 Best basketball stats app out there for youth, high school, college or pro. Easy Stats makes stat keeping simple by focusing on your team's players. The opponent's stats are tracked as a team so you don't need to manually add or track their players. Unlimited teams, games, and players for free. Analyze trends like net point difference, points per game, minutes and more for teams, players and groups of players. Rank and sort lineup groups by different stats. Share box scores via Facebook/Twitter/Email or simply paste a link into any other app. Easy to use and much more! "I have been using this app for 3 years for my daughter’s AAU and High School teams. Very easy to use and the parents and coaches love getting the emailed stats after every game. The Season Stats feature is awesome! I had tried many others before using Easy Stats but this one worked best and was the easiest to use. I recommend using this app over other stat apps it is really easy to use." "For our team it is the easiest way to keep game stats for our players. It's easy and quick and you won't miss viewing the game trying to log stats"
"Simple and easy, hassle free score keeping and stat recording. I love how it shows how much time is played per player"
Just downloaded this app for my son’s 5th grade select basketball team. It took me a good full game to get accustomed to the app, but once I did, it became extremely easy to use. I love the ease of the two-tap input. The most difficult part of the app is starting/stopping the clock to match the game clock. I keep having to correct the app clock to match the game clock. This is not an app error, but rather a user error as I am not used to running the game clock. I imagine it will get better with more practice. I would like to suggest, as a parent, is that I wish I could share this app with the coaches. I am keeping the stats as a parent on the spectator stands while the coaches are coaching. I would have loved the ability to take all the stats and then have the coaches login later and be able to view the stats without me having to send the stats by “sharing”. I thought the pro account accomplished this by being able to sync across multiple devices, but this only applies to devices I own. I would like to sync this with a limited quantity of friend devices. Maybe the developer could allow a purchased account to have 2 or 3 team members to have access to the same account. Overall though, GREAT APP! Thank you. I’ve used this app to score basketball games, mostly ones that no one professional would care about. After a run once or twice, I got better, and the app became easier to use. Not perfect, but that’s on me. Also, this app is really easy to use, and, unlike other apps, doesn’t require money to use. I don’t use the Pro version, but from what I think based on the list in the app, it works great, especially if you need two teams. The two tap control works great, and is really easy to use. If I had to make a suggestion, maybe connect the shots and assists? Like tap who made the shot, and then ask who made the assist? I don’t know. Another one is to explain the foul or turnover. Same thing as the assist. One last one is to have a set subs team. Like if you are subbing out the entire team, you can do that by just doing something like that. I don’t know exactly how that would work, but it’s just a suggestion. Overall, I love this app, and would recommend it as a great (possibility the best) free basketball score keeping app. Thank you for the great app! Just downloaded the app this evening to use for my son's basketball team. Had lots of good reviews and is easy to use. Was able to set it up in a few minutes and use it for most of the game. Capturing plays is quick and easy. One thing I couldn't figure out for a while was how to add stats to the opposing team. I emailed the developer and he responded promptly (which was great!!!). Its pretty easy - the opposing team is the "extra" player on the list after clicking an event (eg rebound). The main thing that I wish this app allowed would be to link an account across devices (ie a cloud account). One thing that would also be really cool would be the ability to link the app to a team tracking app like Teamsnap (i.e. provide your app within teamsnap which has team and schedule info and is used by coaches and team parents).